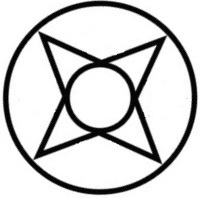 The Hope symbol is represented by the eight pointed star, that is enclosed in a circle and containing a circle. Eight is an important number in terms of achieving balance. The Native American Indians referred to the Hope symbol as Star Knowledge which included the ability to mark events to come based on celestial alignments, providing hope for the future. The 8 pointed star symbolizes hope and guidance. A circle around other Native American symbols signifies protection. 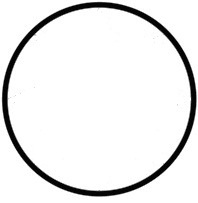 The circle has no break and cannot be broken. The Inner Star pointed to the four cardinal points, east, west, north and south. The points in the Outer circle led to the summer solstice where the sun path would be at its farthest north, the days are longest. A time of renewal and great potential and hope for the future. The Winter solstice marking the onset of winter. The summer and winter equinox when day and night are of equal length. Each are important times in the forthcoming year and are symbols of hope for the future. 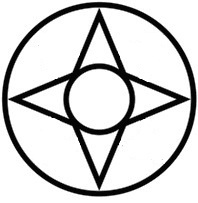 The Hope symbol of the eight pointed star therefore represents the four cardinal points of north, south, east and west and their connection to the outermost points on the horizon where the sun passes through the year - the solstice and equinox points. Another icon of the Hope Symbol is the butterfly. Some tribes in the Native American culture believe that butterflies can take a wish up to the Great Spirit. To wish is to express a strong desire or hope for something that is not easily attainable. The elusive butterfly is often just out of reach. But legend tells that if you capture a butterfly, whisper your wishes and hopes to it, and then release it to the heavens you will be rewarded. It is believed that your hope and wish will be granted in gratitude for the freedom of the butterfly. There were so many tribes of Native American Indians it is only possible to generalise the most common meaning of the Hope symbol or pattern. Native Indian symbols are still used as Tattoos and were used for a variety of reasons and depicted on numerous objects such as tepees, totem poles, musical instruments, clothes and War Paint. Indian Tribes also used their own Colors for Symbols and designs depending on the natural resources available to make Native American paint.